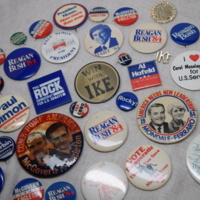 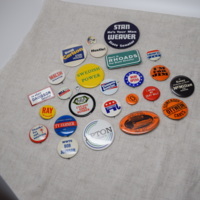 Numerous campaign buttons distributed to supporters during various campaigns at the federal, state, and local levels during the 20th century. 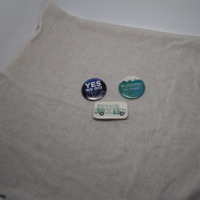 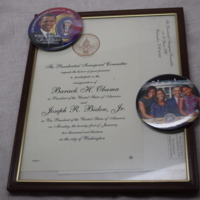 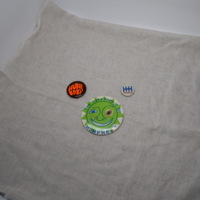 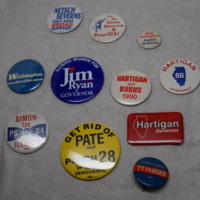 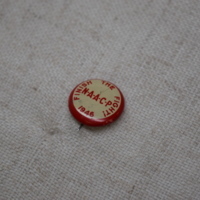 Nineteen campaign buttons distributed to supporters during various local elections in Illinois. 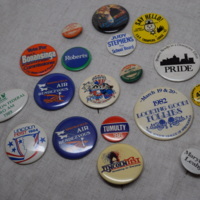 Eleven campaign buttons distributed to supporters during various races for Illinois Governor between 1984 and 1999. 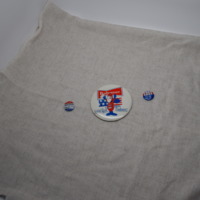 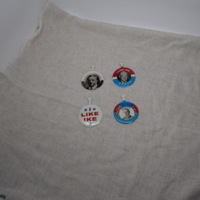 Collection of four political campaign buttons for presidential candidates Teddy Roosevelt, Dwight Eisenhower, and Woodrow Wilson, each of the presidential campaigns for these individuals were successful and each served two full terms as president.